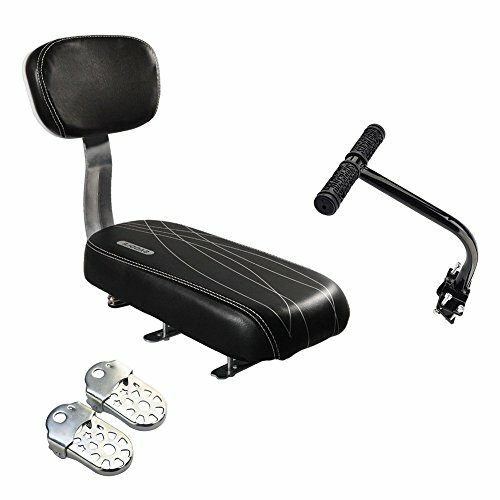 Material:PU Leather + Sponge + 0.8cm Wooden Board(cushion and backrest);Stainless Steel(footrest);Steel(armrest);Elastic lycra material(cushion pad). Cushion size: About 13.4*6.2*1.9inch/34*15.8*4.8cm;Back Rest Size:About 10.6*6.7inch/27*17.5cm. Suitable Handrail Install Diameter: 0.78-1.18inch(20mm-30mm). 2.sponge provide comfortable feeling,PU fabric can be cleaned more easily. 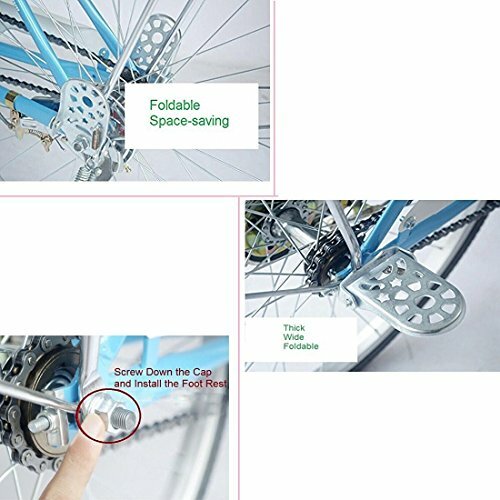 3.With the foot pedals, long sit on the bike will not make you feel acid. 4.With the Armrest Handrail, child seat on the back will be more safe. 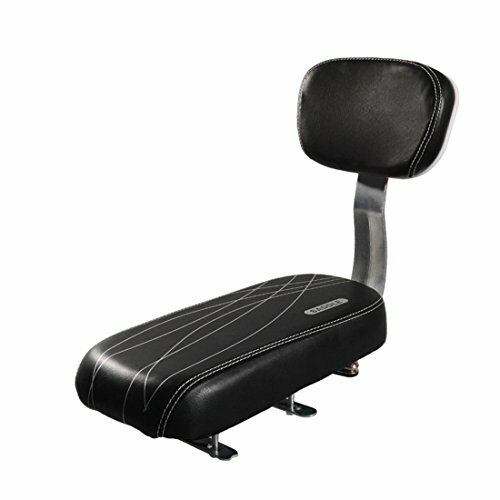 5.The cushion pad made of high quality anti-slip and wear-resistant elastic lycra material.Comfortable and a pleasure to ride on . 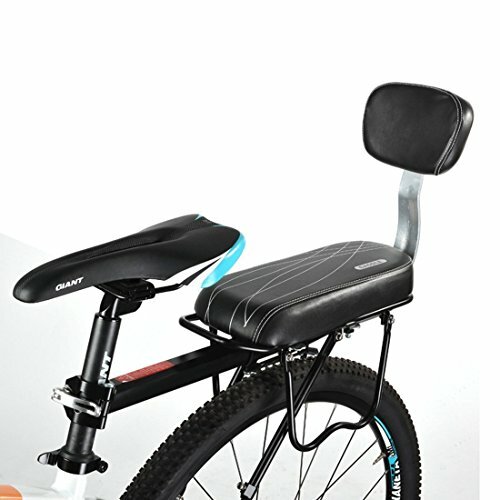 1 x Bike Seat with Backrest. 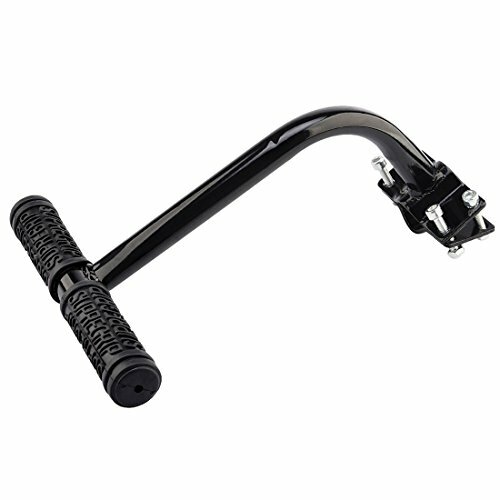 1 x Bike Armrest Handrail. 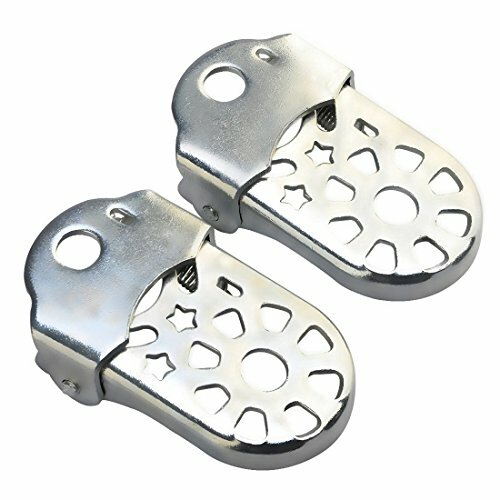 2 x Bike Rear Foot Pedal. MATERIAL:PU Leather + Sponge + 0.8cm Wooden Board(cushion and backrest);Stainless Steel(footrest);Steel(armrest).The quality of the material is very high.Thick sponge provide comfortable feeling and PU fabric can be cleaned more easily. CUSHION SIZE: About 13.4*6.2*1.9inch/34*15.8*4.8cm;ARMREST SIZE:About 9.45×7.87inch(24x20cm).FEETREST SIZE:About 4.41×2.36inch(11.2x6cm).The seat cushion is a fairly simple pad which is held onto a bike rack by straps (bike rack NOT included). The weight limit would be the weight limit of the rack. COMFORTABLE AND SAFETY: The wide padded seat and backrest ensures a comfortable riding position.The Armrest Handrail and Footrest added security for your children’s safety.PLEASE NOTE:For children over 5 years old. 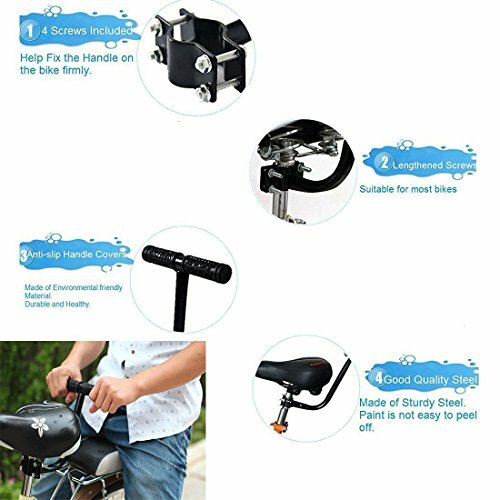 It is very comfortable and ultra sturdy.Black with Line Pattern looks fashionable and beautiful, What’smore,it can make your child safety.Neat appearance make travel full of fun.With these bike accessory set, kids can lean back and relax when you are riding.